Production — Fownes Brothers & Co., Inc.
Manufacturing facilities utilize the most modern machinery and techniques. In combination with old world craft, over 3,000 skilled workers adhere to the highest standards of social responsibility. All manufacturing facilities are certified by 3rd party compliance companies and exceed the standards set by major customers. Some of the products we produce may be covered by US Patents 8507102, 8528117 and patents pending. 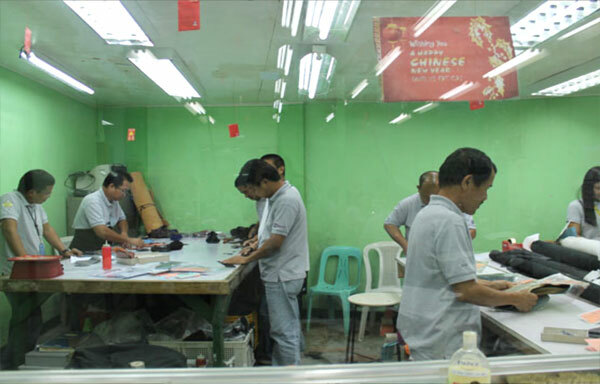 Established 1959, Fownes’ Philippines facility has grown tremendously over the years and now produces products requiring a high degree of skill for fashion brands as well as outdoor active brands. The heritage craft of artisan table cutting is still performed to this very day, ensuring an exacting fit for every glove. Established in 1984, Fownes’ South China facility was the first non-joint venture accessory factory in China. This factory serves as a model facility for manufacturing efficiencies, quality standards, and diversity of production capabilities.